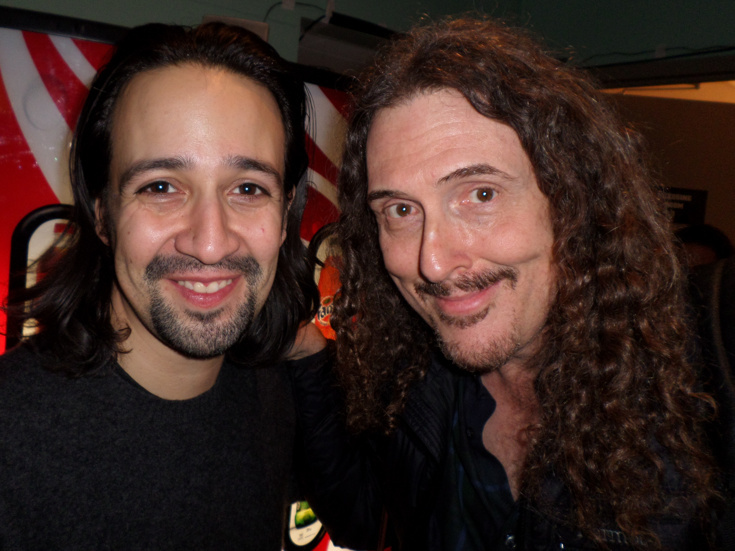 It's no secret that Tony winner Lin-Manuel Miranda has become recent buds with music star Weird Al Yankovic. Weird Al's hilarious '90s riffs "Amish Paradise" and "Fat" made him a master of parody who broke through to the mainstream. Now he has taken on the songs made famous in Miranda's Broadway hit Hamilton and we can't stop listening. "The Hamilton Polka" remixes the best songs from the Great White Way hit with a sensibility that is all Weird Al. Give a listen below and keep fingers crossed that these two collaborate on their own joint Broadway hit soon.